Poster designed by Camp Pepper. As part of Kazoo! 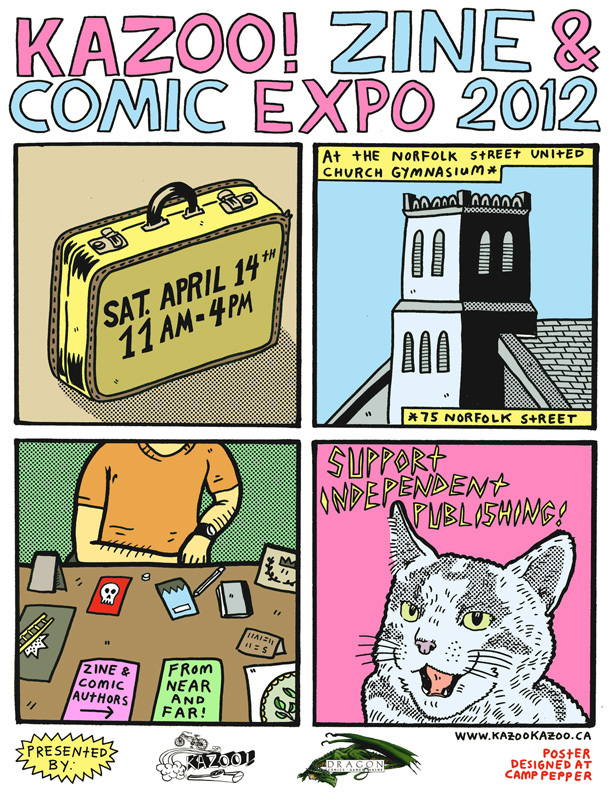 Fest 2012, the Zine & Comic Expo will be held on Saturday April 14th in Guelph. The website will be updated soon with registration info and more information such as guests attending. In the meantime, if you have any questions about the Zine & Comic Expo please email kazoo.zine (at) gmail.com. The Kazoo! Zine & Comic Expo is brought to you by our friends at The Dragon in Guelph, sponsors of the Comics for Kids Award and the Gene Day Award for Self-Publishing.